It's officially 32 days until I depart for Italy! I will be spending my usual 3 months abroad to teach and research in Florence. I will also be doing a little bit of personal travel (stay tuned for more on that). I met with this summer's students a couple weeks ago and, as expected, most of their questions and emails have centered around packing. If you've been reading here for a while, this advice will feel very familiar (Feel free to skip down to the example packing list below). But it is worth repeating, because it works! 1) Take the number of days you are traveling and divide in half (if you are traveling for more than 3 months, this will need to be adjusted). 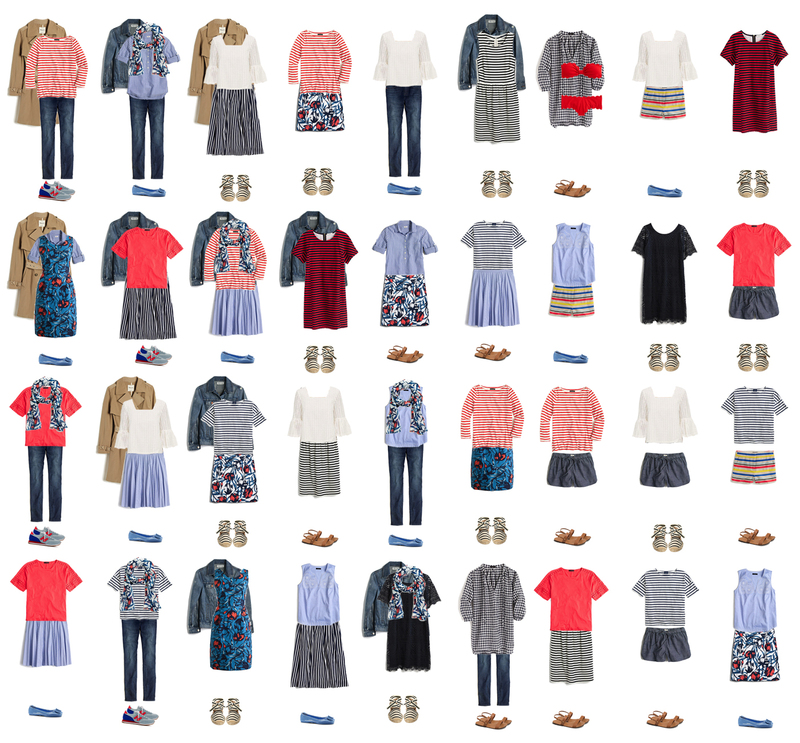 This is the number of outfits you should try and pack. So for my summer abroad I will pack 40 - 45 outfits. 2) Select items that you can mix and match. 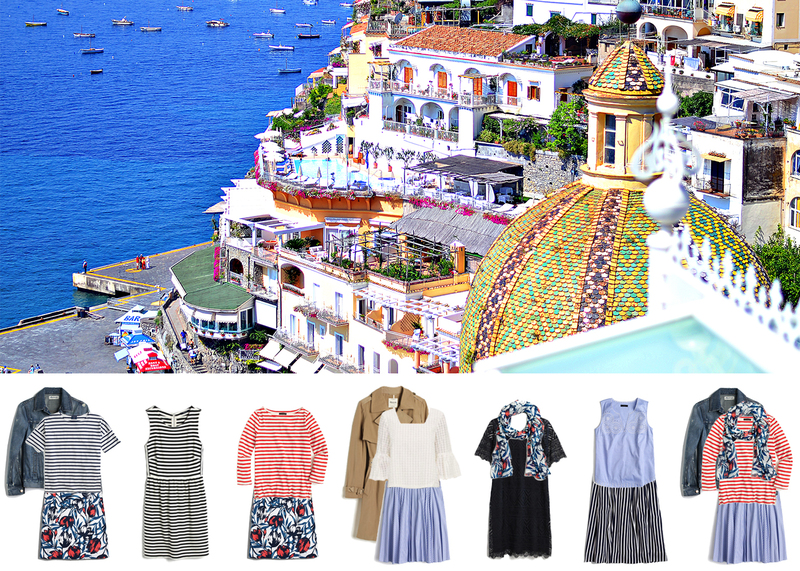 This will double your wardrobe for the trip. I suggest selecting one color scheme to ensure everything matches. You can see my example below. 3) For warm summer months, focus on natural fabrics that breathe. 4) Bring a variety of tops and bottoms of varying lengths and weights so you are prepared for all weather conditions. 5) Pack only comfortable and functional shoes. 6) Pack few toiletries, you can buy the basics when you arrive (more suitcase weight saving tips here). 7) Use packing cubes and compression bags to save space and stay organized. From this list, I can make 36 unique outfits. Don't believe me? Check it out. I hope this helps ease your packing anxiety. And please share if you're headed somewhere fabulous this summer. I promise to share my plans soon!